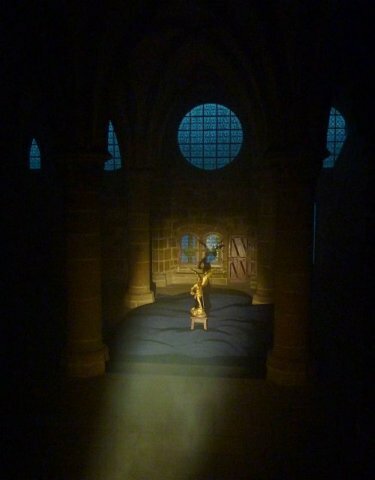 The nocturnes at the abbey of St-Michel also includes special art installations and light shows, like this one depicting the Archangel Michael in the bay. (c) 2010, Jessica Thompson Blatz. All rights reserved.